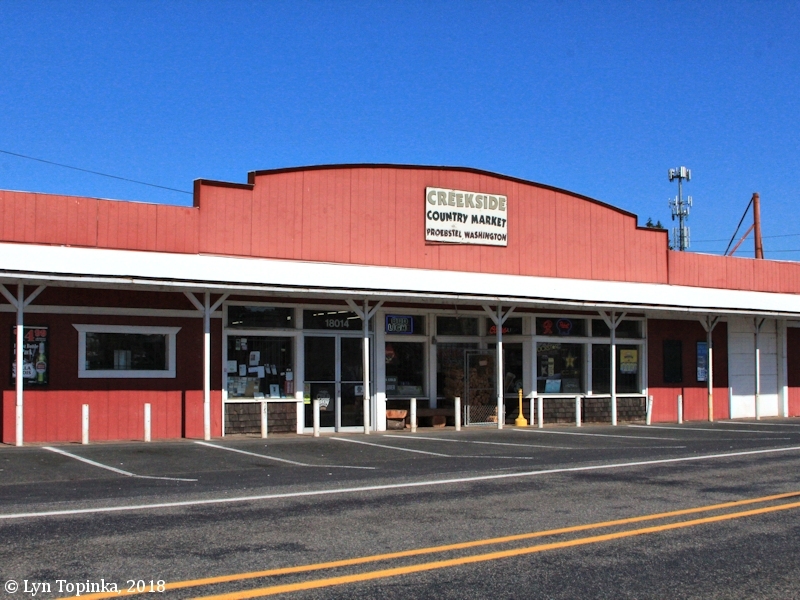 Click image to enlarge Creekside Country Market, Proebstel, Washington. Image taken September 2, 2018. 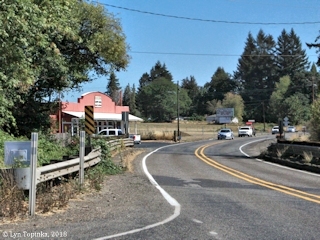 Proebstel is a small Washington settlement located east of Vancouver near where Fifth Plain Creek merges into Lacamas Creek. Two to three miles west lies the communities of Orchards and Sifton, five miles north lies Hockinson, and seven to eight miles southeast lies Camas and Washougal. Immediately southeast is Green Mountain, a Boring Lava cone. "German brothers named Proebstel, their wives and offspring made up one of the largest families settling in Clark County in th early days. A community east of Orchards was named for the family, and a church still carries the Proebstel name. Four brothers arrived here from Missouri in time to take donation land claims in the early 1850s. Andrew took out a claim just northwest of Orchards, and John, Valentine and Jacob Proebstel settled near what is now Proebstel. ... At least two other Proebstel brothers also lived in Clark County in the early days. ... A post office named Proebstel was established in 1886 with Francis and Herman Proebstel, two sons of John Proebstel, in charge at the start. Several other postmasters also were on duty before the office was discontinued in 1907." "Proebstel: Settlement on Lacamas Creek, 7-1/2 miles northeast of Vancouver, south central Clark County. In 1887, this name was used when a post office was established. It was for John Proebstel, one of 6 brothers who came here in 1852 to settle on Donation Land Claims." 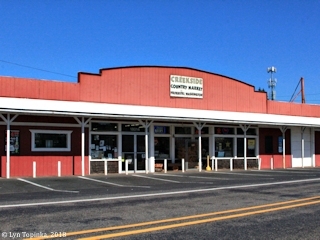 "Proebsel: Established in 1887 with the start of a post office east of Orchards. Named after John Proebstel, one of six brothers who came here in 1852 to settle a land claim." The U.S. Bureau of Land Management's General Land Office (GLO) Records database (2018) shows John Proebstel being granted title to many parcels in T2N R3E, Clark County, the earliest being John and Angelina Lois Proebstel being granted title to 321.07 acres of T2N R3E, Sections 7, 8, 17, and 18, on September 1, 1865 (1850 Oregon-Donation Act). 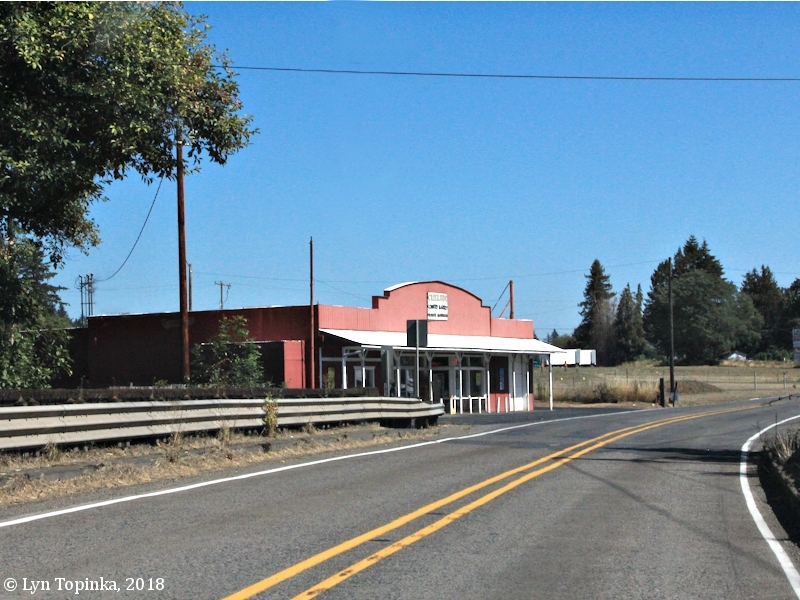 Click image to enlarge Proebstel, Washington. Image taken September 2, 2018. 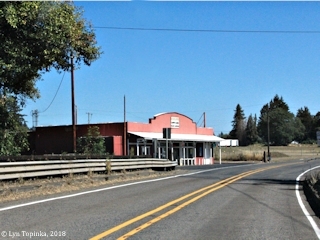 Lacamas Creek drainage is in the foreground, Creekside Country Market on the left, and Fourth Plain Boulevard heading east.